A "happy-go-lucky" 12-year-old boy allegedly took his own life at his family's home after he was bullied, leaving his parents devastated. Mason Warwick was found at home in Brighton, East Sussex, and was rushed to hospital by paramedics, but he could not be saved. 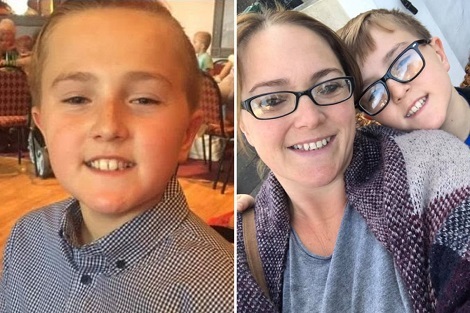 Mason's grief-stricken parents Kelly and Daniel Warwick said: "He was our amazing special angel." His death is not being treated as suspicious and the coroner has been informed, said police. A family member said: "He was the loveliest sweetest boy. "He was happy-go-lucky, really polite, and loved by everybody. "You couldn't' ask for a better kid." Mason's grief-stricken parents have spoken out as the community rallies round the family. A GoFundMe page set up for the youngster claims he was a victim of bullying. The page states: "As most of you know this beautiful little boy Mason took his own life on Thursday night due to nasty bullies. "He was such a loving caring young man with a heart of gold. "His parents are struggling with the loss off their little prince as you can imagine and would love anyone to help raise a bit of money to help them at this sad time. "Money won't bring that precious boy home but will help the family a little. Rip Mason."